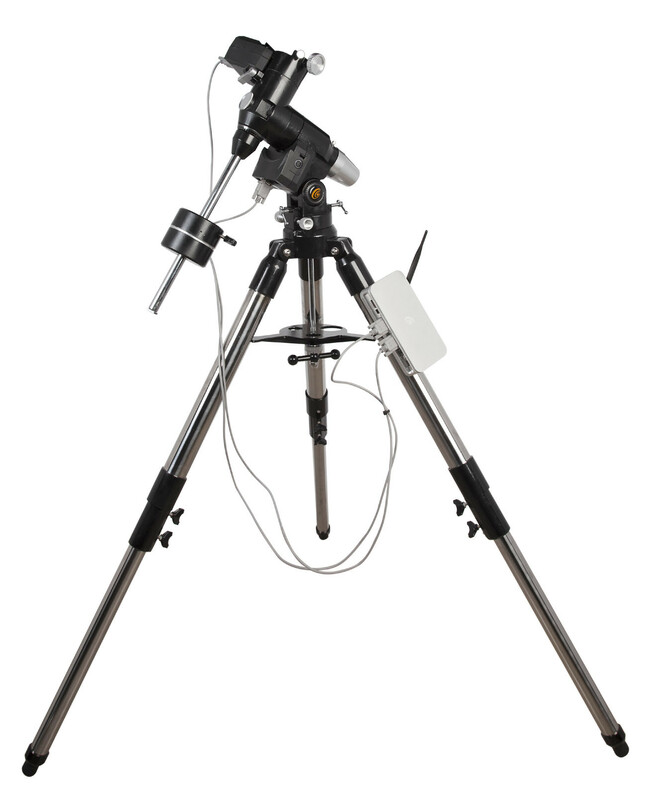 Designed by Explore Scientific's Engineers, the PMC-Eight™ represents a new approach to robotic precision motion control for telescope mounts with a robust eight-processor electronics board for a wide range of software clients. While the design is innovative, we are doing what no other telescope company has done, and that is to make the controlling interface language and example software code open source, so that programmers in the astronomical community can create new platforms and new astronomy GoTo experiences to best suit their needs. Moreover, Explore Scientific encourages the sharing of these innovations via our OpenGOTO Community. A major advantage of our GoTo mounts is that they can be controlled (wired or wirelessly) by any ASCOM compatible software. In addition, Explore Scientific offers a free software app, called ExploreStars™, that controls our GoTo mounts (wired or wirelessly) via a PC, laptop, or tablet. ExploreStars™ is currently available for Windows 8.1 and Windows 10 systems, Android, and an iOS version is in test phase now, to be released soon. Even though the EXOS2-GT mount with PMC-Eight can be controlled by any ASCOM compatible software system (a widely accepted standard for handling communication between components of astronomy equipment), Explore Scientific also offers a specific control application called ExploreStars™ that runs on any Windows 8.1 or 10 system or Android and can be downloaded from the Microsoft app store at no charge. (Versions of ExploreStars™ for other operating systems will be available soon.) This application controls any PMC-Eight mount by means of an intuitive graphical interface.Among other features ExploreStars™ offers both 2-star and 3-star alignment procedures, educational information and images of the more popular celestial objects, and a choice of over 80,000 objects for viewing. The communication between the PMC-Eight mount and a PC/laptop running ExploreStars™ can be via a wired or wireless connection, or via a Windows based Tablet wirelessly thus freeing the user from being tethered to the mount. The object database used by ExploreStars™ is called the Celestial Database. It encompasses a wide range of celestial objects including those in the Solar System, the Messier Catalog, the New General Catalog, and the Index Catalog, as well as a collection of over 70,000 stars. The Celestial Database also includes educational material and images for many of the more popular objects. This database is available as a separate updatable component of the ExploreStars™ software system. It can expand over time and any ExploreStars™ implementation can easily be updated by downloading a fresh copy of the Celestial Database. In fact, the educational material and images within the database can be customized by each individual user using Microsoft Access. Click here to download software and learn more about the PMC-Eight™ and its documentation, the PMC-Eight™ ASCOM driver, and ExploreStars™ App. Power Supply Included 12V battery pack. Requires 8 D size batteries. The PMC-Eight has taken GOTO technology to a whole new level by utilizing a smart electronic design that transcends the industry standard single processor. The PMC-Eight has eight CPUs that operate independently of one another to focus on defined functions. This delegation of tasks among the processors results in a system that offers superior responsiveness, efficiency and reliability. This multiple processor approach is a revolutionary one that pays off with exceptional performance. Created specifically for the PMC-Eight, the ExploreStars app streamlines the observing experience and serves as an ideal introduction to the many benefits of our OpenGOTO system. ExploreStars is all-encompassing and has an intuitive nature that makes it simple and quick to align your telescope, navigate the stars and learn specifics about tens of thousands of celestial objects. This dynamic app is fueled by a database that is routinely updated to ensure it remains a relevant resource. Designed specifically for the PMC-Eight, the intuitive ExploreStars app will streamline your observing experience by making it easy to align your equipment, navigate the stars and learn specifics about tens of thousands of celestial objects. It also leaves room for manual operation. The free ExploreStars application can be downloaded from the Windows app store onto your Windows 10 tablet or PC or from the link below for Android Tablets. Loading the two different software packages is really simple. First, download the ExploreStars App by clicking the link above and install it on your Windows based PC or tablet. Then download the Celestial Database by clicking the link above and after the download is complete, unzip that file. You will find a folder called ExploreStarsComplete and drag that folder into your "Pictures" folder on your Windows based PC or tablet. Launch the ExploreStars App on your device and give the device a minute or two to upload the Celestial Database. The tablet may say Data Missing. If that occurs, click the "AppBar" button and select the "Load Extra Stars" button. Wait a minute or two (or restart the software) and the tablet should be good to go. The ExploreStars Android App runs on tablets with KitKat or later OS with MicroSD external storage (required). Complete Installation instructions are on the link. To start using ExploreStars, download the free app by clicking the logo above and load it to your Android device, and also download the celestial data set that contains the astronomical catalogs, reference images, and reference text. Simply unzip the ExploreStars folder containing the expanded celestial data set into your "Pictures" directory, you will expand the native database from a thousand objects to over seventy thousand objects. Upon startup of the ExploreStars app, the message "Please Wait" is displayed as it links wirelessly to the PMC-Eight. This can take several seconds. After it connects, you will see a touch sensitive telescope control keypad on the right, pointing information in the center, and a touch sensitive finger-drag controller for slewing the telescope in any direction is on the left. Move your finger across to slew the telescope. You are now ready to start the alignment process and explore the stars. Although we offer our own operating app (ExploreStars), the PMC-Eight is all about providing options – not only in what you view but in how you get there. To meet the versatile needs of our astronomy community, we have made the PMC-Eight compatible with the industry standard ASCOM interface. Our specific driver (ES_PMC8_ASCOM_Driver_Setup_2018_04_04.zip) allows you to use the ASCOM-powered planetarium software of your choosing to run the PMC-Eight either wirelessly or through a wired connection. Through ASCOM, you can access a number of outstanding star map software/telescope control platforms. The night sky is full of possibilities, and so is the PMC-Eight. In an unprecedented move, we have made the coding that powers our precision motion control system open source. By putting the building blocks into the hands of programmers, we believe we will unlock the full potential of the PMC-Eight OpenGOTO and discover unexplored uses. We don’t want to set limits and force users to conform to our vision. Instead, we want to give you the access you need to make this system your own. One of the most revolutionary aspects of the PMC-Eight OpenGOTO system is undoubtedly its open source software. With our precision motion control system, you can create a unique observing experience and find your own inspiration in motion. 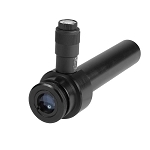 The PMC-Eight was specifically designed to allow you to create your own vision about how to use the system. We put an emphasis on accessibility so you can unleash the full potential of this extraordinary system. The result is complete access to the coding that drives the PMC-Eight OpenGOTO. The software developer’s kit (PMC_Eight_ProgrammersReferenceManual_Release1_2018_April_04) provides you the building blocks you need to discover new ways to customize our powerful system to better serve your individual needs. Programmers can use their unique skills to manipulate the PMC-Eight’s robust electronics, which include a two-channel multi-processor micro-controller with eight central processing units that operate independently of one another. 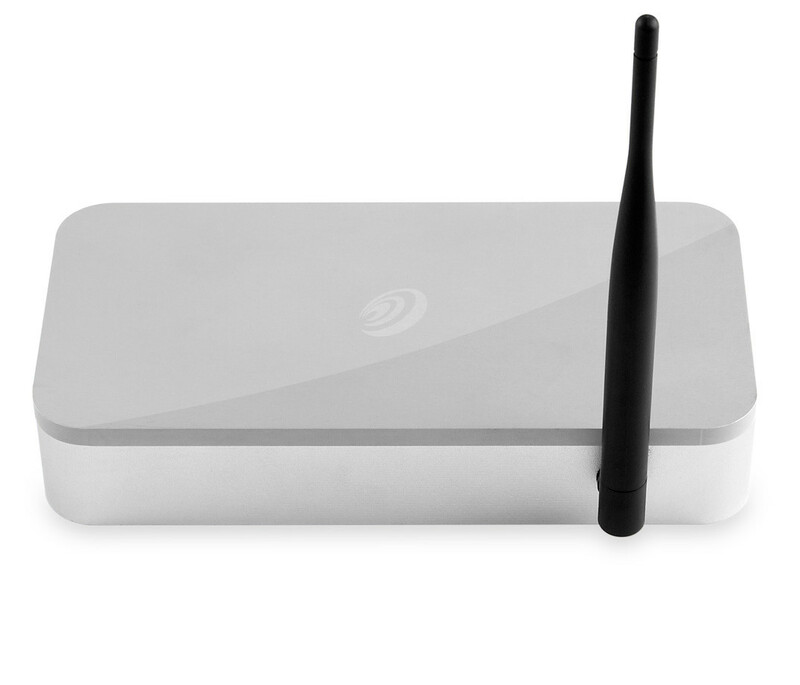 Additional features include a 64 Kbyte EEPROM non-volatile Memory bank used to store parameters; a wireless Ethernet 10/100 with full IP function which permits operation from anywhere using a browser, ASCOM or application over the web or serial port; and non-volatile memory used to store various parameters. The electronics also includes an auto-guider port (ST4 contact input).